Posted by mwidlake in Friday Philosophy, off-topic, working. Another friend of mine, Jeff Smith (oh he of SQL*Developer fame) replied to my comment saying “what is a ‘leaving presentation’ – they let you get up in front of everyone and invite them to kiss your a$$ goodbye? Because, that sounds pretty amazing”. That took me by surprise, it had never occurred to me that “leaving presentations” were not universal. That’s one of the great things about the global reach of social media, it helps you realise that so many things you thing are normal are, in fact, local to your region and are seen as bizarre by others in other cultures. For most of my working life in the UK, if you are a permanent member of staff and it is known you are leaving (so it’s not a case of you being sacked) and it is only you (so it’s not a case of the company slashing the workforce) then “Shirley from Accounts” will take charge and will buy a card. I don’t know why, but it is nearly always a woman who gets the card and the same woman organises most people’s leaving card. The card is sent around the office in an envelope and people sign it (maybe adding some words like “begone foul demon”) and, depending on the organisations, there may be a collection made at the same time. It is beholden on you, the leaver, to pretend to never notice the card going around (or checking how the collection is going. I did know one guy who put money into his own collection to make himself seem more popular!). Back in the 1980’s/90’s, the places I worked at did not have email – not even internal systems on the mainframe, so lots of envelopes would be going around with company memos or things you had to read and sign you had read. So the odd card going around was easy to ignore. These days of course everything is email so the last few times I’ve noticed a card going around, it stuck out like a sore thumb and you knew it was a leaving (or “congratulations” or “get well soon”) card. Then on your last day your boss gets the team around, (s)he says you did not steal much and you did not piss off all the users, they give you the card and pretend to care what happens to you in the future. People then clap politely. This not the US, there is no whooping or saying it is the saddest day of their lives. If a collection had been made they will have bought you something with the collection. It is always almost, but not quite totally, useless. You might have to do a small speech and then, the best bit, you take them down the pub and buy everyone a drink (it used to happen at lunch time but now it tends to be more at the end of the day). The round generally costs you more than the collection they gathered for you. Sadly the last bit seems to be dying out. As a contractor/external consultant you tend to avoid the mild discomfort of it all as you are not around long enough to become part of the team and, well, it’s just not done for over-paid contractors. Personally, I have always found the whole thing a bit weird and, if I am the leaver, mildly uncomfortable. I try to avoid the whole thing by keeping my exit quiet or stealing enough stationary so that management do not feel I deserve a leaving presentation. Of course, in the case I cite above, I nearly avoided it just by making my bosses hate me. ho Hum. But I do still try and do one bit, the “taking people to the pub” at the end of the day, even when I am a contractor and we are not supposed to get leaving presentations. So what if anything do they do where you are? Is the leaver expected to do something (bring in cake, kiss everyone, do a dance)? Do you have a tradition that is eminently sensible and common in your country but, not you you come to think of it, maybe it’s a touch strange? Or do people just leave quietly and no one notices much – except for the scramble for the chair or your higher-res screen? I’m from the United States. Closest thing to a leaving presentation I’ve seen is if a member of a company is particularly beloved and they’re retiring, they’ll throw them a retirement dinner or some kind of cake and punch event. If someone is just leaving the company and not leaving the workforce entirely, I’ve never seen where the company really does anything nice for you. Although most jobs I’ve had, on your last day there, if you’re leaving on positive terms, your teammates and manager will go out with you for lunch and someone is usually nice enough to pick up your check. But that’s about it for what I’ve seen? Maybe other parts of the US are different. It’s called a “pot de départ” in France. Anything to have an excuse to drink in the office. If you are leaving for another job, or transferring, you pay (instead of going to the pub on the Eurostar), but the card and collection are done. When I retired the company paid the tab, plus card, collection and two speeches (not including mine). It was very nice. Same tradition in Israel, usually without the pub thing. In Germany we use to bring cake, sometimes (alcoholic) beverages or even have food catered when leaving a company. 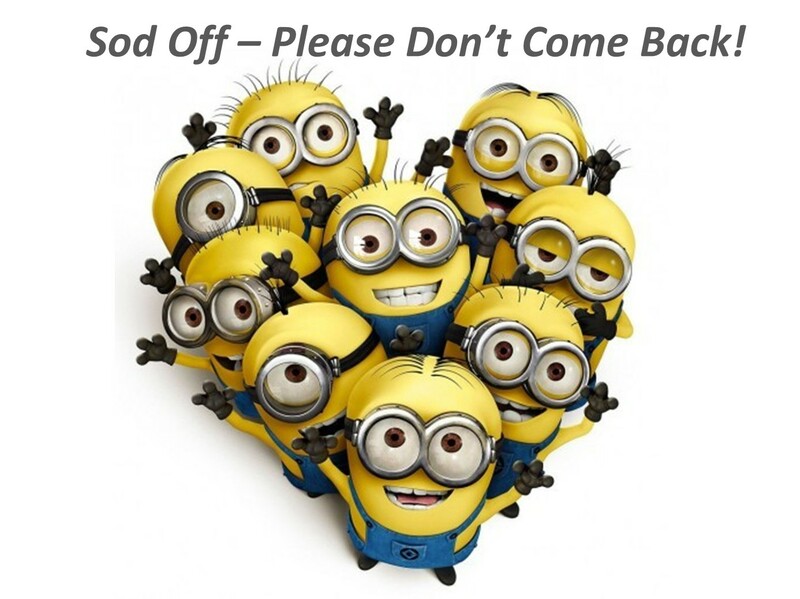 In many companies or teams it’s also usual to give a farewell present to the leaving one. While this is usually done by employees, it’s also not uncommon practice among contractors, particularly after long-term projects where a good customer relationship had developed. It’s just about exactly the same in the Netherlands, although I don’t think we have a name for it. The pub part, however, mainly depends on the popularity of the person leaving. We won’t go to the pub with someone we don’t like. Even though we’re Dutch, not even if the drinks are free. Contractors/external consultants can expect the same treatment if a) they’ve been around long enough (say >= a year) and b) they’re happy that you’ve been around (not b usually implies not a). I remember one long assignment, where the manager knew I absolutely love all sorts of cheese. So last day comes and he used the collection to buy me a good Scotch and a wonderfull collection of cheeses. But since everything as you mentioned has to remain a secret until the grand moment he left it all in his car until the afternoon. About a year later he told me he could smell the cheese every time he got in his car for at least a month afterwards. The person who takes on the job of social arranger, often an executive’s secretary, is one you should find and befriend at any company. At a previous contract, which I started for a week as covering DBA and finished after 11 years, they bought me a Kindle as a leaving present. That was particularly nice I thought, especially as the contractors were all being got rid of due to the IT being “sold off” to CapGemini. That was on the Friday. On the Monday, I was back in the office, same desk, same PC etc, working on my new contract for Cap Gemini!!!! I did feel rather bad about it all, I felt quite uncomfortable about the situation, but nobody else seemed to be bothered. They were (mostly) glad to see me back, despite my incredible line of really bad jokes. I’m leaving my current contract on 9th September. I shall not be expecting a card, or present this time, although I will, in the current tradition, be supplying a couple of (large) boxes of hot Samosas as a goodbye present to my colleagues. Something I miss from working in the UK Midlands (around Birmingham) is the same tradition of Samosas on special occasions. I can’t remember the last time I had a curry in Leeds/Bradford – but it would have been excellent (unless it was from the, gladly long gone, “Slamer” opposite the Uni). Huge boxes of samosas seems to be replacing the cake tradition in our office. Whilst reading it crossed my mind that alcohol laced cakes might be the answer to the complete lack of alcohol in the office these days. The important Birthday or event also used to warrant a collection, desk decorating and speech but now seems to have become only a thing if Shirley is great friends with the owner of said birthday. To be honest I hate it all. Mostly because it forces you to pretend you like your work colleagues. My mother taught me never to lie and I missed the ‘if you can’t say something nice don’t say it at all’ lecture.